Sometimes when listening to new music, it takes a few repetitions before you really “get” it. Other times, however, within just a few seconds, you already know this is something you like. For us, Jeremy Messersmith fell squarely into that second category. There’s just something about this indie pop musician from Minnesota that makes his tunes immediately palatable, especially for those who like acts like Peter Bjorn and John. Sonically, the music is consistently impregnated with fantastic string lines and framed out by acoustic guitars, and centers around Messersmith’s whispery vocals. It’s a sublime combination that sounds like it would be at home playing in the background at a coffee shop on a lazy, sunny morning. While Messersmith hasn’t played Bonnaroo before, he’s no stranger towards earning the public’s attention. Over the course of his five studio albums, he’s been a featured artist at a number of different massive publications, as well as earned song placements in dozens of different outlets. All in all, this stellar act has had quite a bit of success since he first organized his musical efforts back in 2006. 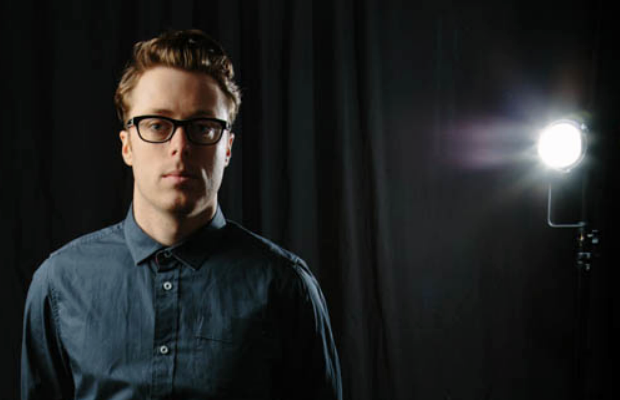 Messersmith’s most recent album is Heart Murmurs; we’ve got “Ghost” from that album as our video embed below, but if you want to check out where it all began, take a listen to the Star Wars-themed track “Tattoine”. Let us know what you think!